Drinking coffee is an integral part of many individuals' mornings. It is a legendary energy drink that can help conquer even the longest days. But there are many reasons why people want to replace coffee with tea. Some find coffee drinks too acidic to stomach while others feel wired and restless after just one cup. Tea is a great alternative because it is formulated to deliver a more subtle, yet powerful energy boost. Caffeinated teas are also available in a wide variety of flavors and strengths so it’s easy to pick the ones that are the best fit for you. Tea packs a punch when it comes to health benefits. Different types of tea can prevent serious illness such as heart disease and cancer, increase relaxation and boost energy. Tea drinkers extol the uplifting effects of tea for good reason. Tea offers the pick-me-up you need without the side effects of a mid-day crash or feeling jittery. 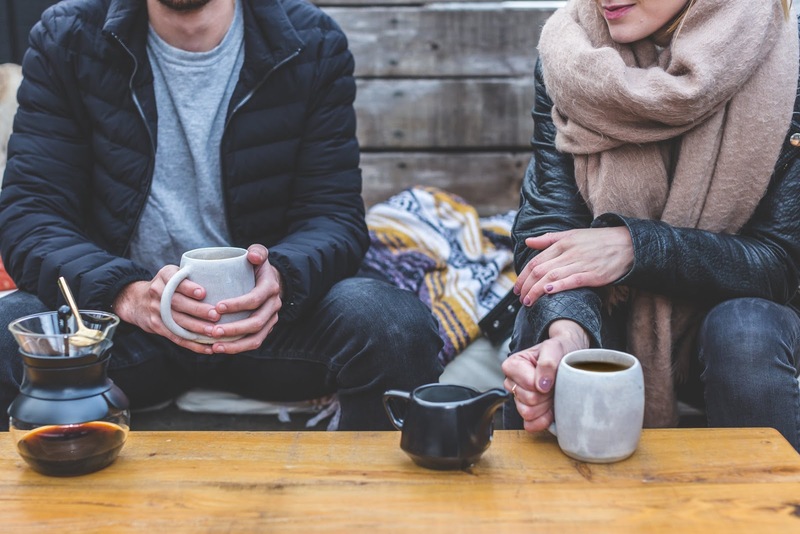 Read on to find out how you can replace coffee with tea and get the scoop on some of the highest caffeine teas out there. Looking for an energy kick? Check out our collection of high caffeine teas right here. The caffeine content of tea varies dramatically depending on the type of tea. Other factors such as where the tea is grown, how it is processed and brewing techniques can all affect how much caffeine is present in a given cup of tea. Herbal teas or tisanes do not contain any naturally occurring caffeine. Below, we've broken down the true teas and some popular coffee alternatives to highlight how much caffeine each contains. For reference, a cup of coffee contains 100 milligrams although some strong roasts can have even higher amounts. True teas—those made from the tea plant known as Camellia sinensis—contain different levels caffeine. In general, black tea contains the highest concentration of caffeine compared to the other true teas. There is one large exception here: matcha green tea. Black teas contain an average of 37 milligrams of caffeine, while some matcha teas contain close to 130 milligrams. Oolong and green tea contain around 31 milligrams of caffeine while pu-erh boasts 31 milligrams. White tea is the least caffeinated tea of the true teas with just 27 milligrams per 8-ounce serving. South American yerba mate is a common alternative to coffee. Yerba mate contains 59 milligrams of caffeine and high concentrations of l-theanine amino acids that boost energy. Why Should You Drink Tea for Energy? It's easy to see that most teas have less caffeine than a cup of coffee. So why do so many people recommend replacing coffee with tea when you want to boost energy levels? Tea offers a smoother, more steady energy boost than coffee does. That means you can stay alert and focused without experiencing the downside of a crash afterwards. In coffee, caffeine is released immediately, resulting in that perky feeling you experience almost immediately after consuming. In contrast, the caffeine in tea is released more slowly due to its chemical composition. Tea contains chemical compounds known as tannins, astringent polyphenols that give tea its sharp, fresh aftertaste. These tannins bind to amino acids and caffeine, delivering a more even energy boost. The slow release of caffeine results in a longer-lasting energy boost that doesn't come with the spikes and dips associated with coffee. Tea also contains a non-dietary amino acid known as l-theanine, which helps boost mental acuity. L-theanine is found only in tea and certain fungi. This rare amino acid works to reduce stress and improve mood by triggering chemical responses in the nervous system. L-theanine is powerful in that it induces relaxation without any sedative effects. This helps to take the edge off caffeine, which can make people feel jittery. There are two main factors when it comes to choosing the best high caffeine tea. First, you need to decide how much caffeine you need. If you regularly guzzle 4 or more coffee beverages a day, switching to a moderately caffeinated oolong tea may not give you the energy you need. Instead, opt for a strong matcha tea that offers strong caffeine content as well as high concentrations of L-theanine that can keep you focused longer. You may not be able to completely ditch your coffee at the beginning, but slowly switching to tea can be the initial step. Black and oolong teas are a good choice for more moderate coffee drinkers. They still pack a punch when it comes to caffeine, but they don't result in side effects like nervousness and jitters. The second factor in choosing high caffeine teas is taste. Many of the higher caffeinated teas have astringent qualities and strong, bold flavors. This is great for coffee drinkers who enjoy full-bodied flavors. There are also milder flavors and subtle profile to suit different tastes. Black teas are most closely associated with coffee in terms of caffeine content and flavor. High caffeinated black teas include Assam, Darjeeling and Ceylon tea. English breakfast teas are a popular favorite for starting the mornings right. British Earl Grey tea is a popular option, which is an infusion of bergamot and boasts a citrusy taste. Oolong tea is a close second to black tea in terms of strong flavor. That's because it is semi-oxidized, which allows the leaves to develop deep flavors. Oolong tea is a Chinese favorite and can be brewed extra strong for people who like sharp tastes. Oolong teas can also be fruity and floral with bold flavor profiles that form a happy medium between white tea and black tea. Green tea is the middle option when it comes to high caffeine and milder flavor. Some green teas such as Formosa Gunpowder offer a sharp taste similar to coffee with herbaceous notes that round out the flavor. There are also milder green tea flavors that still boast strong amounts of caffeine. Japanese green teas such as Sencha Fuji and Genmaicha offer vegetal flavors that trend toward floral, roasted and earthy. In general white tea is the most delicate with sweet, floral flavors. It is also the least caffeinated. White tea is an ideal option for individuals who have a sensitivity to caffeine or want a mild pick me-up. Tea bags are great for convenience and drinking tea on the go. On the other hand, loose leaf teas offer more health benefits and deliver the energy boost you desire more effectively. Loose leaf teas are generally higher quality teas than tea bags because tea bags contain broken leaves, dust and fannings that don't offer potent benefits. Loose teas generally contain the entire leaves, packing in the antioxidants, tannins and polyphenols that make tea great for jump-starting your day. We recommend using loose leaf tea whenever possible. If you enjoy taking your tea to go, simply opt for a to-go mug that features a built-in infuser. Just add the tea leaves to the infuser and top off with hot or boiling water. If you absolutely must use tea bags, look for larger teach sachets or tea pouches. These bags tend to have full leaves and the extra space allows them to expand. With the extra space, the leaves fully infuse flavor, caffeine and healthy compounds when they steep. From the United States to China and South America, tea is a popular beverage that can increase focus and improve mental acuity. You can drink these caffeinated beverages all year round whether you prefer iced tea or hot variations. If you're a huge coffee drinker, replacing coffee with tea in the morning might not be enough to get you through the day. 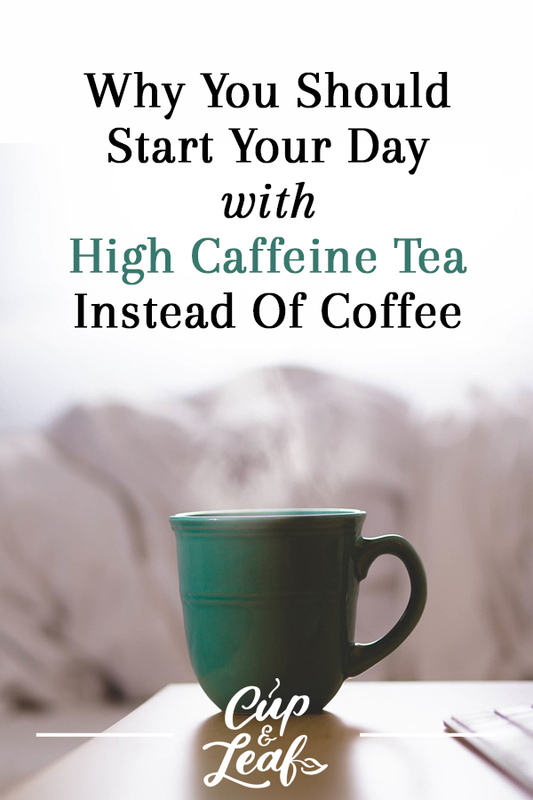 Instead, start with one cup of coffee and follow up with a strong caffeinated tea such as matcha for a longer-lasting, steadier energy boost. For casual coffee drinkers, drink a cup of tea instead of a cup of joe to help you cut back on caffeine intake.